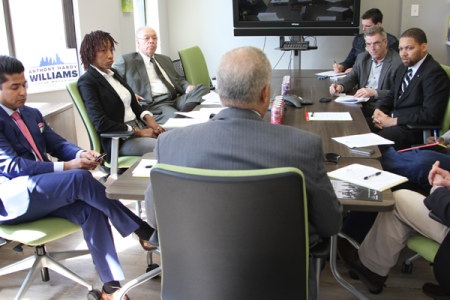 Today I had the pleasure of joining a roundtable of economic development experts in support of State Senator Anthony Williams’ economic development plan: One Philadelphia Vision for a 21st Century Economy. 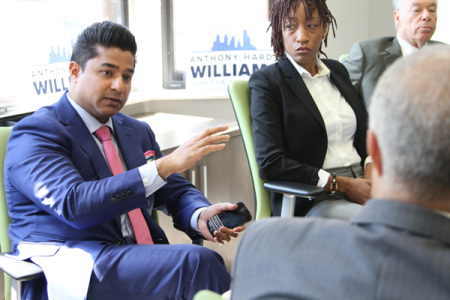 I was joined by Ajay Raju, Brett Mandel, Joe Zuritsky, and Jon Gosier, all in support of Sen. Williams’ common sense but much needed vision on economic development in Philadelphia. By far, this is the most comprehensive plan that I have seen from any of the 2015 crop of mayoral candidates. The next mayor will have to steer economic policy on a regional and global level, as well as a local community level. Not many economic policy approaches are as well rounded, but Sen. Williams’ proposal hits on all cylinders. 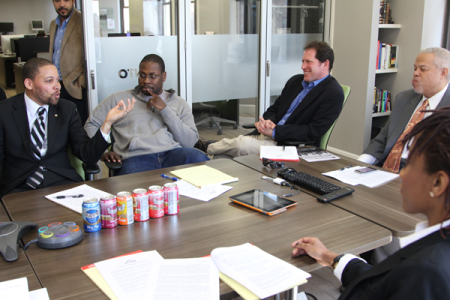 The One Philadelphia Vision economic plan addresses our local economy on both the macro and micro level. It talks about nurturing the growth of both big businesses AND small businesses; instead of pitting big business vs. small business. In Philadelphia, we need both. And Sen. Williams’ economic policies make room for both. Being an attorney and community nonprofit executive, it is important to me that every economic proposal addresses the needs of ordinary citizens living in our communities. 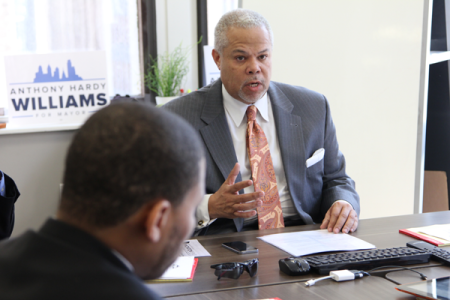 Sen. Williams’ plan clearly makes the connection between bringing very high level businesses and tax policy to the city, while also connecting it to benefit ordinary people and how they access jobs. Those of you who are familiar with my work know that reducing Philadelphia’s 28% poverty rate is the foundation of my work. I am happy that Sen. Williams has adopted a two generation strategy and the Shared Prosperity plan as viable solutions to this big poverty issue that Philadelphia has. 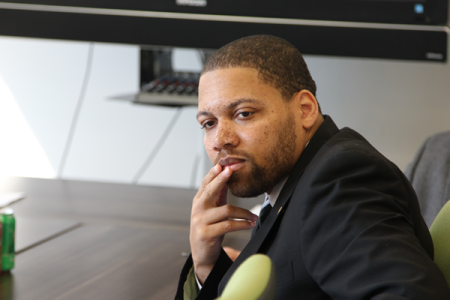 No economic plan would be complete without addressing poverty in Philadelphia. As executive director of the Mayor’s Office of Community Services (MOCS), I laid the foundation for Mayor Nutter’s Shared Prosperity plan to address poverty in a new way. We talked about creating collective impact by bringing government, the private sector, the nonprofit sector, and the philanthropic sector together to create a common agenda around poverty. We also sought to organize and implement a coordinated approach to addressing these issues. I wrote another piece that elaborates on the two generation strategy that I currently implement at Diversified Community Services. When I see Sen. Williams talking about growing new industries, focusing on tax reform, while not forgetting that we have to close the skills gap and address poverty simultaneously; I see a leader who gets it. I see a mayoral candidate who says that the path to Philadelphia’s progress does not have to be an either/or proposition. Is he for big business or small business? Well, he’s for both. Is he for center city or the neighborhoods? Again, he is for both. This is a plan that truly speaks to One Philadelphia. I like it. Sign me up! Otis L. Bullock, Jr., Esq.